PREMIUM MOUNT SURPRISE BREEDING AND FATTENING COMBINATION. 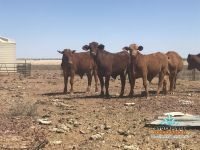 Springfield Station offers the astute purchaser a profitable, walk in walk out cattle operation with low overheads, abundant water and over 7200 cattle, all in a large scale parcel of quality productive country with rainfall reliability. The diverse property also offers the opportunity for further development of water and tourism potential. The operation has been held by the current owners for 19 years. Succession planning and a family restructure has enabled this magnificent property to be offered for genuine sale to the market. Country Type Springfield has an amazing diversity of country that will support Breeding and Backgrounding all on the same property. The country ranges from easy undulating sandy granite soils to gently sloping to undulating open forest country. Fertile red and black basalt ridges give way to large areas of black soil basalt flats. There are expansive areas of softer frontage country along numerous waterways and also a lot of soft box timbered hollows and open areas. The real strength of this property lies in its variation and balance of red and black basalt soils mixed with granite base loams, in some of the open forest areas. It is estimated that around 60% of the total area is made up of basalt based soil types. Vegetation and pasture species include a variety of trees comprising Bloodwood, Messmate, Ironbark, Ti Tree, Moreton Bay Ash and Ironwood with a large amount of soft Box fertile flats. Grasses consist of black spear, kangaroo, couch, red natal, blue grass and fire grass with some buffel mixed throughout. Legumes include seca and Townsville lucerne plus summer grasses. Due to having had a quite good wet season and being conservatively stocked, the volume of grass is in abundance for the time of year. Water Water is in abundance on Springfield. Permanently flowing spring fed creeks cover a large proportion of the property. “Springfield” boasts two major flowing permanent springs that run parallel south to north across the length of the property (springs are fed from the basalt wall). In addition there is 20km double frontage to the semi permanent Lynd River, Mero Creek and other creek systems can be found on “Springfield”. There are also 7 solar pumps, one submersible with gen set and 4 windmills pumping from bores. Additional springs, dams and poly pipe to tank and trough systems watering the property are also in place. The two permanent springs are “Fossil brook” and “Craigieburn”. “Craigieburn” spring is diverted into salt water creek (with license granted). Fossilbrook spring runs parallel north south across the entire property. Black springs runs a creek for 5 km to keep permanent water to stock. Fencing Fenced into 11 main paddocks plus additional holding paddocks. Fencing all in good to sound condition. Boundaries are fenced except for two sections of approx 7km each on the ridge country where generally there is a natural barrier. A network of lanes are in place to facilitate stock movement to the main yards at the homestead, which is centrally located. Carrying Capacity/Stock Cattle Over 7200 mixed cattle will be guaranteed on the property. plus calves, Vendor believes further adult cattle can be run on the property. Bedrooms Breed and Background with secure rainfall! This rural website solution has been created by Web'n'more.